Dust off those cerebral filing cabinets and remind yourself of all those facts you really should know! From pi and Pythagoras to presidents and popes, prime ministers to prime numbers, literature to litmus tests, there is so much information from our school days that we have forgotten, or only half-remember. 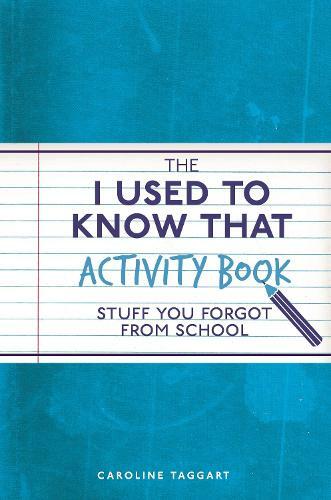 The I Used to Know That Activity Book is an enjoyable and interactive way of reminding ourselves of all those facts that we'd like to remember and re-learn, or those we missed the first time round. This useful book contains questions across all subjects, perfect to dip into and try your hand at whenever the mood takes you. There is space to fill in the answers and, if you are a bit rusty, all solutions can be found at the back of the book. An enjoyable, informative and lighthearted activity book for all adults who want to jog their memory and get their brain back into gear.